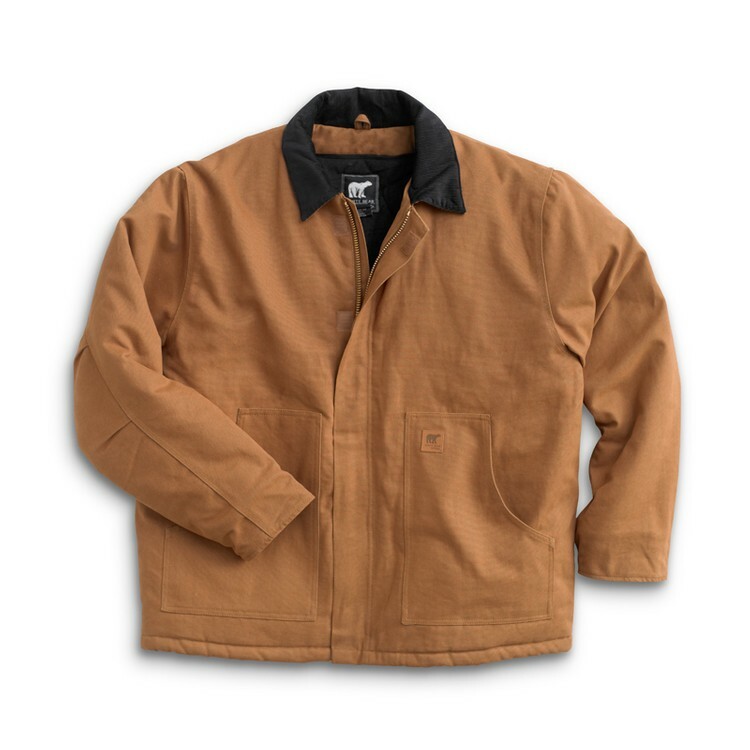 Heavyweight Chore coat features Water Resistant 12oz Sanded and Washed Cotton Duck. 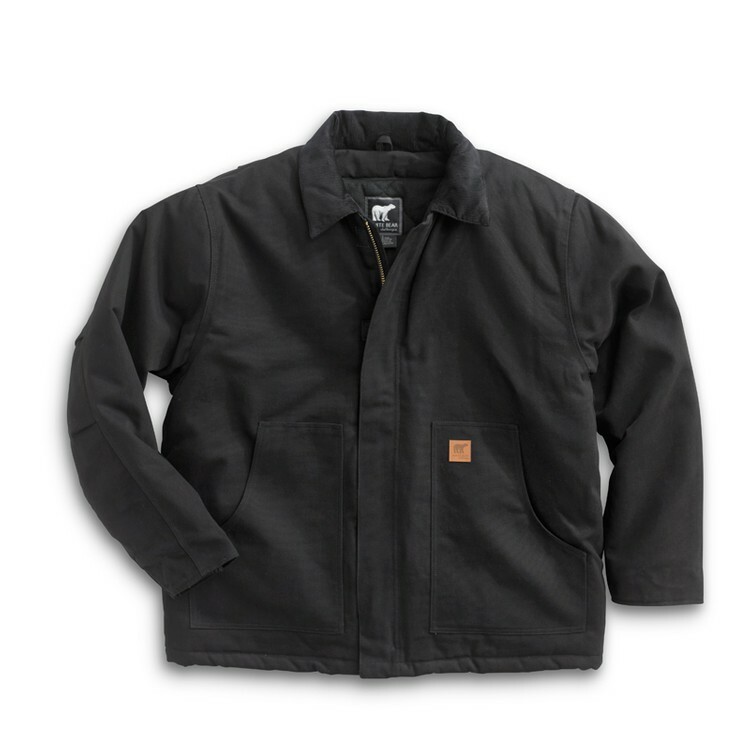 Heavy Polyfill with Brushed Tricot Lining in the Body and Nylon in the Sleeves. 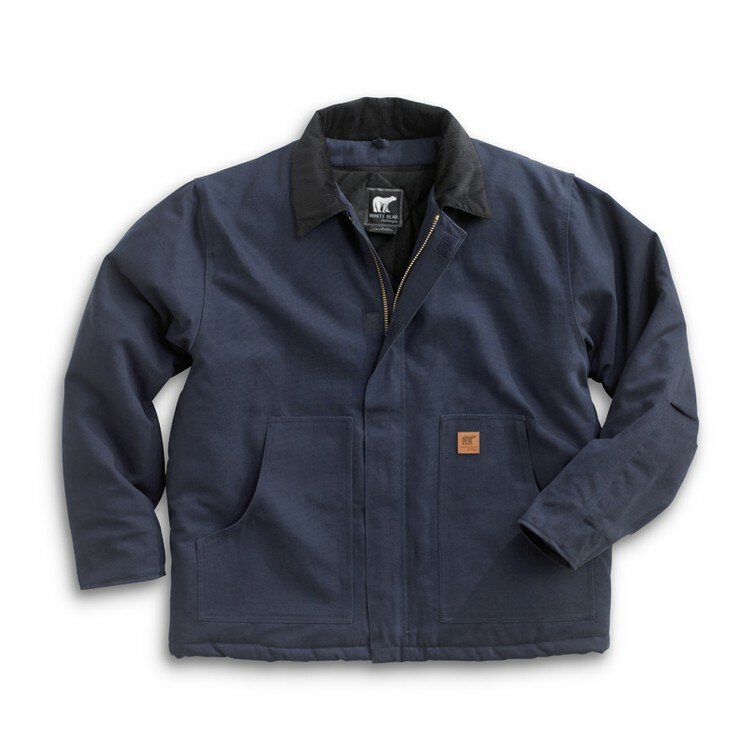 Corduroy Collar with Snaps for Optional Hood. Over-Sized Fit. Recessed Rib Knit Cuffs. Embroidery access zipper that allows embroidery to right/left chest and full back. 2 large inside pockets. No Back Seams. Shoulder Gussets and Pleated Sleeves. #10 Brass YKK 2-Way Zipper. Heavy weight canvas jacket is available in 3 colors and large sizes - 3XL, 3XLT, 4XL, 4XLT, 5XL, 5XLT, 6XL, 6XLT.